Having worked with and been a part of several non-profit boards of directors, we have observed both well-functioning and dysfunctional groups. Please understand that in every case they were made up of intelligent and well-meaning people. Many of them have worked long and hard in writing a strategic plan. But once completed, it often becomes only an agenda item at the next annual retreat. The basic steps in strategic planning are: Vision; Situation Analysis; Mission; Goal Setting; and Action Plans. It has been our experience that, during an annual meeting or set of dedicated meetings, the board can accomplish the first four steps. They may attempt to start the Action Plan Step, but often get bogged down in the details and conclude with less than a thorough product. 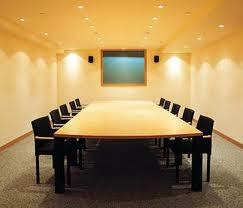 Here is where the involvement of board members, as leaders, can be very beneficial. The development and execution of an Action Plan will usually require the involvement of those that are part of the operation. They may be employees or volunteers but are critical to the successful achievement of both short-term and long-term goals. Goals should only be changed by those who developed the strategic plan; the board. Action plans may be modified based on the daily or weekly experience of those trying to execute the plan. Assigning a board member to be involved as a leader allows for continuity between the goals established by the board and its achievement, in many cases by employees and volunteers. The Strategic Plan is not a document cast in concrete. Too often, the plan is written and left unnoticed for an extended period of time. Strategic planning is a process not a document. Progress should be reviewed on a regular basis and modified to reflect the reality of the situation. Review needs to be part of any monthly board meeting. This review becomes even more effective if board members are involved in the leadership of the development and execution of Action Plans. They bring firsthand knowledge to the board discussion and deliberation. The incorporation of these two ideas is more than just nice things to do. It has been our observation that they do make a difference. Time, effort and money go into the development of the initial planning document. What a shame not to make the Vision developed in that document a reality. If you have the feeling that your Strategic Plan is getting bogged down,contact us for a review and discussion. We may be able to help. This entry was posted in Blog, Non-Profits and tagged plans, strategic plans on August 3, 2013 by admin.